Roger Douglas and Derek Quigley formed the ACT Party in 1993 with a strong libertarian base and supported by their own lively (although in my mind, misguided) intellect and enthusiasm. New Zealand has aways struggled with political extremes of any sort and although it achieved fourth party status and over 7% of the vote in 1999 and 2002 ACT has never looked like achieving more and has been in decline ever since. Subsequent leaders, Richard Prebble and Rodney Hide maintained a certain amount of support through their spirited, attacking politics but the quality of many of their MPs let them down and they began to drift from their Libertarian roots. Attempts to revive the intellectual credibility of the ACT Party resulted in resurrecting an aging Roger Douglas and a messy coup by a past National Party leader and Reserve Bank boss, Don Brash. On going scandals and infighting has also affected the ACT Party's credibility, including allegations of fraud against Donna Awatere Huata, David Garrett's bizarre theft of a dead baby's identity, Heather Roy's messy sacking as deputy leader and eccentric behavior from a number of their MPs, most especially Hilary Calvert's relationship with a Dunedin brothel. In recent elections ACTs survival has been based on National's support of Rodney Hide's and John Banks' candidacy in Epsom. 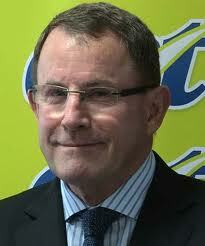 In John Banks, ACTs shift from its libertarian roots is very apparent. Banks is very open about his conservative social policy views and his true political leanings were revealed when he campaigned not on ACT policy but to help return a "John Key led government". The fact he appears to look favourably at working with the new Conservative Party is also very telling. With John Banks being the only ACT MP left in parliament, his election largely due to National's support and the Party only getting 1% of the party vote (6th party overall), their level of influence should be very small. Instead we see an amazing coalition agreement that conveniently supports a number of neoliberal policies that ACT never really campaigned on but were always part of National's, not very public, agenda. The introduction of Charter Schools was always going to be unpopular within the education community, as it is hard to articulate how they can be justified when our schools are already very independent and autonomous in their management. The appointment of Lesley Longstone as head of the Ministry of Education in the middle of last year revealed that National had planned the introduction all along but ACT provided a useful vehicle if everything went pear shaped and they wanted to deflect responsibility. ACC was another area where National wanted to bring in private involvement. They have already tried to justify some change through a fabricated crises created through a drop in the returns of ACC's investment portfolio (which embarrassingly recovered). Again there is no justification, other than ideological, to have private providers competing with the state in accident insurance and possibly much to lose with probable increases in costs. It is very convenient, again, to have ACT fronting this unpopular and unnecessary change. The New Zealand Institute provides a useful independent view of New Zealand's economic, environmental and social situation in relation to other OECD countries. Nowhere in their "Report Card" do they express concern at the management of ACC or our education system, both systems are highly regarded internationally and are widely promoted as successful models. Why, then, should substantial change be considered for both and why should a failing political party with only 1% of the vote be allowed to have such extraordinary influence? Do you think it is likely ACT will be around next election? Owlinalarkworld-Not under John Banks who is really a National Party person who has used ACT as a vehicle to get back into parliament. National will use him to front some difficult policies, then dump him. Unless Act can be revitalized with new blood it will go nowhere under Bank's leadership. You only have to look at ACTs web page to realize ACT is a spent force with no substance anymore.